Shel Rasten, who's also an only child, shares a formidable bond with his mum, Charo Rasten, especially since the passing of his father, Kjell Rasten. He seems to be making her proud, as his career choice is similar to that of mama Charo. Born to a Swedish entrepreneurial father, and Spaniard mother in 1982, in Hawaii, Shel became acquainted with the artistic world in time, that it influenced his selection of a vocation. He towed in the same line as his mother. The entertainment industry was a place for the only child of the Rastens, with his charming looks, combined with his talents, he quickly turned an actor, producer, and even sings, in a rock band named, "Treazen." The road to happiness for his mother began after her first marriage when she met Shel's father, who was an actor. They said their wedding vows in 1978. Before being with Shel's dad, she claimed that her intentions for marrying at an early age of 16, to a husband she was not happy with, was so that she could be a citizen of the US. 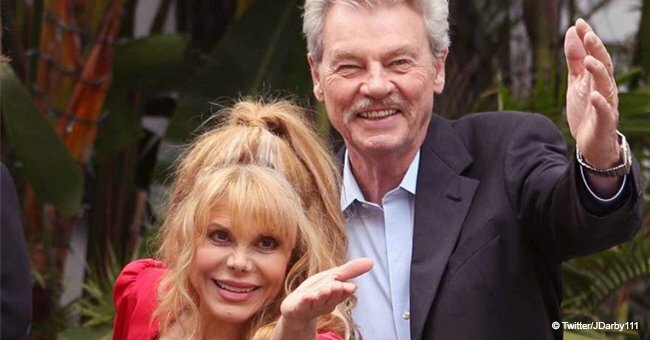 Charo, a skilled instrumentalist, actress, and musician, was pleased when her husband number two, decided to be her manager, and the duo had their first and only baby boy. Undoubtedly, the love she feels for the two men in her life is extraordinary. After losing her husband of 40 years, she connected with her son on another level. He became quite fond of her and supported her emotionally. “It's been a month since my husband died. It's very, very hard. I want to thank you with all my heart for your help, your prayers, your support. That keeps me going. I've been meditating all this month, and I want to let you know that my husband supported by music, each performance he was there applauding, so happy for me because he knew that I'm happy when I'm performing. In his honor, I want to share with you that I will continue his legacy and for the love that I have for entertaining to make people happy. Thank you with all my heart, and God bless you all”. Kjell died 18th February by suicide and Charo confirmed his death in a statement the following day, revealing that he had been ill in the past years. He had a chronic skin disorder called Bullous Pemphigoid, he then became depressed and decided to take his own life. Charo claimed that none of them saw it coming and she went on to advise that if anyone knows someone suffering from depression or an illness, they should reach out to them and also stay close to them.